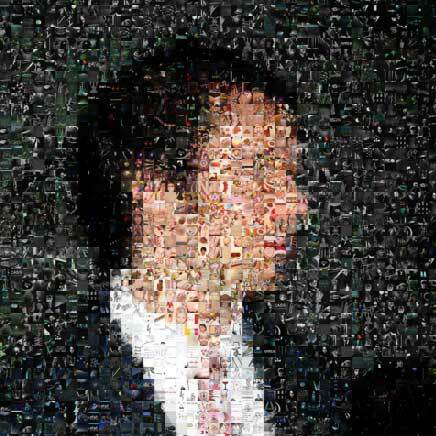 Multicolr Search Lab: “We extracted the colours from 10 million of the most ‘interesting’ Creative Commons images on Flickr. 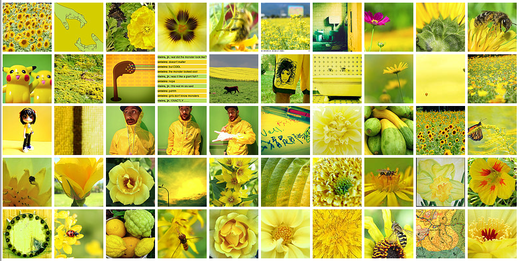 Using our visual similarity technology you can navigate the collection by colour.” Above = photos with yellow and green. Seen by Matt Linderman on December 1 2008. There are 7 comments. Good game: try and see how few colors you can pick to get pictures of dogs, birds, cars, and other things. Pretty, but commits the first sin: no tonal range. I think it has it’s uses. Trying to find stock photography based on color is quite often a futile process. To an extent, you create your own tonal range. Sometimes tonal range isn’t necessarily what you’re looking for. I could see using this to find high impact photos that match up to strong color schemes. Thanks for taking the time to support a service you don’t and aren’t using. I think it’s a good toy to show their technology and not a “stand alone” webapp. this is great. it’s definitely a fun way to just seen interesting photos on flickr, and i’ve definitely tried to find something to fit into a web space many times, but had no easy way to find something matching in color. content isn’t always the most important thing… color can be crucial to a design. match this with compfight.com and you have a pretty sweet flickr finder. Wow, inspiration for the day. An interesting way to look through photos for sure.